Follow the causes of the greatest destruction of wildlife this country has ever seen and then see how people rallied to protect our wildlife legacy. Discover the facts to help you make sound decisions about our wildlife and their future conservation, how thousands of outdoors people like you are keeping wild animals plentiful in our country and how you can do even more to ensure this great heritage. Using stunning wildlife and habitat footage filmed by the award winning production team, as well as archival photos, The South African Conservation Success Story drives home how politicians and private citizens fought side by side to ensure we all can enjoy the natural riches of our country. The narrators of this documentary are: Peter Flack (also the producer) – a lawyer, businessman, conservationist and retired game rancher Shane Mahoney – a Canadian wildlife biologist, writer and researcher Dr David Mabunda – CEO of SA National Parks. In Cape Town during May I attended the General Assembly of the influential European body, CIC – The International Council for Game and Wildlife Conservation, and was delighted that the DVD and book I produced entitled The South African Conservation Success Story, received the prestigious Environmental Prize. Even more pleasing has been the fact that it has been distributed to all members of parliament and many schools throughout South Africa as well as to politicians in surrounding countries. In this regard, I have been informed that IUCN intends to host a conference in Nairobi later in the year to discuss some of the issues raised in the film and book. Some 200 copies of the DVD have been bought and distributed to politicians, civil servants and academics in East Africa for this purpose. An inspired script, breathtaking scenery and superb narration by world renowned conservationist Shane Mahoney tell it in a manner that is magnificently awe inspiring. Jagters & politici – die film is ‘n moet (Hunters and politicians – this film is a must). Comments from members of the audience leaving the theatre at the end of the show were universally positive. “Everyone should see this film”, was probably the most repeated comment. 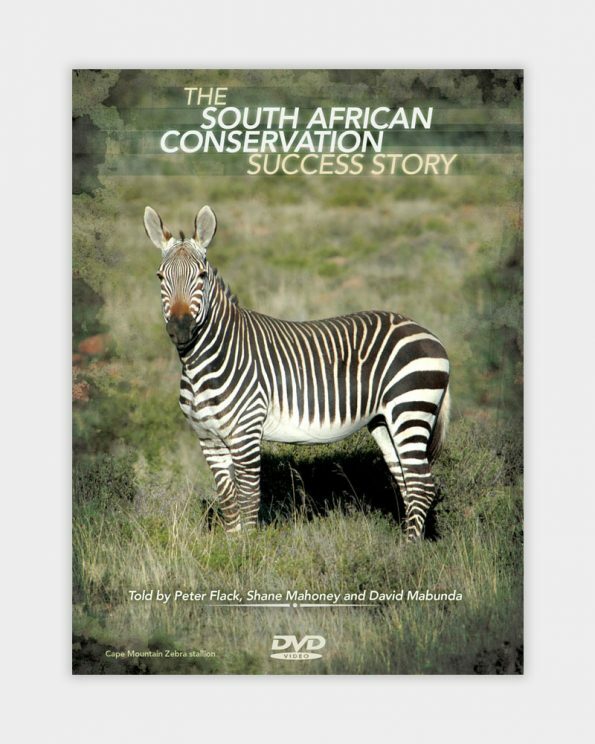 I sincerely hope that the documentary finds its way into all classrooms of South African schools, onto the desks of our parliamentarians and decision makers in business and into the homes of all who have South African wildlife at heart.